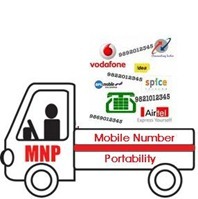 Those who are still unaware about Mobile Number Portability (MNP), it is a service using which a mobile phone subscriber can migrate from one operator to another without having to change his/her mobile number. For example, you can opt to choose for Voafone services on your Airtel number or vice-versa, courtesy MNP. As of now mobile number porting can be done only within the same telecom circle and not on inter-state or inter-telecom circle basis. Meaning, you can only port the number in the same state/circle where the mobile number originates. But good news is that, inter-state MNP has already been approved by TRAI (Telecom Regulatory Authority of India) and telecom operators will be soon introducing inter-state MNP services too. Can I migrate a number from one state to another via MNP? Unfortunately, currently you can only migrate to another operator within the same circle. But inter-state portability will be launched in India very shortly. What are the minimum and maximum time specified for porting number from one operator to another? Porting time could be anything between 24 hours to 4 days. What are the charges for Porting to another operator? As mentioned above, service providers can charge a maximum of Rs. 19 for porting a number . Who is eligible for availing mobile number portability? Any customer having a mobile number older than 90 days can migrate to another operator with the same number. He/She will have to wait for another 90 days before being able to port their number again. Will my number be dead during the porting process? As per the details available, a number will remain dead for 2 hours approximately during the porting process. Fortunately, the 2 hours downtime will be between 10 PM and 5 AM IST. Can I migrate my post-paid number to another operator with prepaid services or vice-versa? Yes, that can be done once you clear off all pending dues with the current operator. Will my prepaid balance carry-forward to new operator? No. All remaining balance on your mobile will get lapsed and will not be carried-forward to the new operator. Thus, its advisable to completely use the available talk-time before moving to another operator. Can I port my CDMA number to GSM operator or vice versa? Yes, with the introduction of MNP, moving from CDMA to GSM or vice-versa is possible too, but your existing mobile will be rendered useless if you opt to move from CDMA to GSM technology. Can I port my landline number to a mobile service provider? Porting a landline number to a mobile operator is possible in countries like US though, for now, Indian govt. has planned to launch MNP only for mobile phone users. India might witness landline number portability in the future. Will I get any freebies from the operator I am porting my number to? During the launch of MNP in India, various freebies were offered by new operator to welcome its customer. Do check with the new service providers’ customer care if any welcome offer is available currently. Feel free to drop a line below via comments and we shall look into it. what will be the call charges of the new operator? Can i take my calling, sms, gprs skims along with me or that will be vanished? Yeah, you have to discard your CDMA handset and buy a GSM Handset.Or if your existing handset is of dual sim type (CDMA+GSM) then you sac still use your old handset. can i chang into gsma from cdma or not? Inter mobility for ex. reliance CDMA to Reliance GSM is pble. If yes, Rs.19/- will be charged or not. I Purchased a no. 3 yr back bt same was nt activated on my name due to dealers mistake. nw hw can i change operator? when will be MNP available in delhi? and will it be applicable on vodafone? can i port my mobile number from one state to another under the same circle(from kolkata to chennai)?? you can’t port number from state to state..
You’ll have to choose from various given options. Welcome to Mobile Gyaan! 🙂 You can subscribe to our free email alerts. Yes, you cannot use GSM services on CDMA handset or vice-versa. You can do so if you are from Haryana (as MNP is launched only over there for now) by visiting a local dealer. Possible, will be charged too! Though there’s no clarification about this from any operator. You problably won’t be able to port to another opeator if you have a negative balance. You can submit new details while migrating to another operator. You’ll need to talk to your current operator for this. Anytime before January 20, 2011 as per the details available from concerned authority. Unfortunately, that’s not possible at the moment. MNP will be started in Delhi in January, 2010….. I live in Delhi….. and I have Tata Indicom Prepaid mobile connection, which is a CDMA service…..
Can I switch to Airtel Prepaid GSM from Tata Indicom Prepaid CDMA, after the MNP is implemented in Delhi….. Yes, migration from CDMA to GSM is possible. Thank You Deepak for your quick reply….. Very nice post, which explains everything about MNP in India. But still I have one doubt that once a mobile number has been ported to a new service provider, will the new service provider logo appear on phone ? Because I have learned that complete MNP data base is maintained by a third party company. Thanks for appreciating the post, Satya. Yes, new operator’s logo/name can be seen after porting mobile number to another opeator. @Suresh: Yes, you can use 2G on 3G handset but not vice-versa! Is there any official website for MNP? Sadly, NO. At least I am not aware of any official site for MNP services in India. There is a website, which is run by Telecordia…..
Telecordia got the offer by Indian Government to implement Mobile Number Portability in India…..
Can I interchange two mobile numbers using MNP, if I want to continue the services of both the operators? i have airtel mobile number of maharashtra circle, and now i am in andhra pradesh so i am paying roaming charges of 1rs/per min. if i will choose any other service(as per MNP) in AP then roaming charges will be applied to me or i will be free from roaming charges. As of now, you cannot change your telecom circle using the same number with MNP. Though, as per experts, inter circle MNP may be launched in the future. Can i ditch Airetel service port A to D and then port D to R? You can go from A->D but to again port from D->R you’ll have to wait for another 90 days. Check out the conditions mentioned above. Port #A to Docomo and port #D to Reliance. Yes, even you are elligible to port your number to other CDMA/GSM operator. Is it possible to port MTS CDMA to some other CDMA in Tamil Nadu without changing Mobile set???? Yes, its possible to port CDMA to CDMA too if both the operators are from both circle/state. @deepak.. thank u for all d informations.. As per u said above, from today dats 20 jan, d MNP wil be available pan india.. so now can i change my karnatak vodafone number to tamilnadu airtel or vodafone only.. plz do reply..
You can move from Voda to Airtel but in the same state. Inter-state MNP is not yet available in India! i have relince cdma no. from mumbai, but i am in pune from last 3 years. can i port my no. to vodafone in pune, i tried twice to post to vodafone but it dosen’t work , vodafone system says wrong ucg code. Hi Pradip, if Mumbai and Pune comes under same telecom circle, you can definitely do it! Tried to initiate a move from Airtel and sent the message PORT with my num to Airtel but received a response that “MNP is not yet launched for your service area. SMS to 1900 is chargeable, Thank you”. I am from delhi and made this request just around 5:00 pm. Is MNP not yet activated for Delhi people ? Should I continue with the nasty service provider further? Seems you did some mistake while sending the SMS. Many other has already received their UPC successfully! I am having Tata indicom CDMA connection(Maharashtra). I wanted to change my connection to Reliance CDMA(Maharashtra). It is possible to change connection without changing the Mobile hand set? Yes, possible if you are using OMH (Open market CDMA Handset). Now what is the next step. You need to visit the new operator’s office with required documents and the porting code. Please read the post above in detail! I have a Tata Docomo mumbai number.Can I switch to Vodafone Pune without any problem? can i port my reliance CDMA to GSM permanentaly ? charges 19rs/month or what? Same call charges or what? can we shift from airtel to reliance cdma, (gsm to cdma) & if yes do we need to change the handsets for that?? Complain to your nodal officer. It’ll definitely help. sir i have use Airtel service so iam move to bsnl service. Good. But don’t forget that for the next 90 days you will not be able to change your number to another operator using MNP. Sir, can i port from tata docomo to virgin gsm ? And i wud like to knw that application form of UPC has where to be sent ? Yes. YOu’ll have to carry the UPC along with all your documents (ID proof+address proof+photo) to the operator’s store whom you want to opt-in. i dont recievr UPC code when i tried to port from smart gsm???? Try requesting for UPC again after some time. If the problem persists, mail/call your nodal officer. but aas im sending message to my operator it is saying that message sent id failed check details then how can i change to other n/w. You can contact customer care. In case that doesn’t help, nodal officer will surely be of help. i m using a number of tata indicom of u.p. circle & i want to port it into delhi circle. is it possible? if yes tell me how. Moving from one circle to other with same number using MNP is something that is currently not possible. lets say after changing from “X” operator service to “Y” operator service, How many days i have to keep the same connection? What is the minimum duration to keep “Y” before switching to “Z”??? It takes around 7 days to port out from one operator to another. Once you port to another operator, you cannot move to one more before 90 days. Thanks Deepak for such an informative post..
Hard luck Vikram! If you are sure the port number was correct, I would suggest you to submit your application again. i’d submitted my form for MNP to airtel and i recieved its success, along with the porting date and time (with a few other numbers o_o). But later, my mobile ran out of battery and turned off at night and in the morning, i have no network, it says “No service”. did i miss it while my mobile was off? Aneesh, seems like your number has already been ported to new operator. You try using the new sim and you’ll probably get network! Mani, that shouldn’t be the problem. Just contact your new operator and probably they’ll get the problem sorted. i wanted to port from my airtel num to some other service as i didnt have free msgs in airtel… so two days back i sent that portability msg correctly… i even got a portability code… but then i got a call from airtel n they said that they ll activate free msgs and also with a lesser call rate within two days so i cancelled that portability by sending ‘ CNCL’ to 222 and stayed with airtel.. but that offer which was promised by airtel is not activated yet… so i sent that portability msg again before 30min but have not yet got the code. so my question is ‘ is it possible that once we cancel a portability option by sending CNCL to 222, cant we send the portabilty msg again n avail that port out option??? Reliance su**s.. those f***ing b******s dont care for the people.. always in search of money making.. Is there any way other than throw out the phone to convert from reliance CDMA..
my existing sim is bsnl- jodi kamal ki postpaid. i want to port in docomo. i have q. about the post paid bills. what should i do??? You’ll get a call from opeator to clear off the dues before the porting request is processed. hey Dipak.. As per the rules it says that the porting id lasts for only 24 hrs but as per the message i recieved from airtel it says that my id expires on 24/4/2011… What does it mean? Tina, there’s nothing that the UPC remains valid only for 24 hours. As per the message you received, porting code once requested remains valid for 15 long days. I am in rajasthan and I am using vodafone Prepaid No. Can I change it to as Gujarat No. I am having a postpaid connection & have some deposit with the provider. now I want to know about the deposit if I port my mobile number to service provider. As in prepaid connection the deposit got lapsed or would I get the deposit back. Hi Pankaj, you’ll probably have to visit the office of your current operator to settle the account before submitting port out request. What if porting no expired? how to get new porting number? Though not very sure, I guess, you’ll have to get the services restored with your previous operator just to get the UPC at least. I am not sure if there’s any other way to get the porting code without sending SMS from the same number. Just check out with your service provider for the same. Writing to the nodal officers of both the operators would do magic! thnx for d reply.. if i want to port out from dis month, can i submit a xerox of my january’s bill?? and, after porting, will i get d last bill of feb.?? and plz tell me dat, my existing [plan is jodi kamal ki. bsnl says dat it(jodi kamal ki) is contract wid bsnl. so, ppl shud port out both d sims. wat is ur suggestion?? I have converted my airtel number to Idea but i am facing some problems and i want to move to airtel again. How much time should i have to wait? You’ll have to wait for 90 days to migrate again! 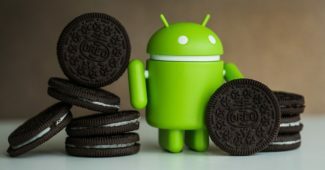 You can check Motorola Defy and HTC Wildfire. 1. If I want to port to BSNL POSTPAID, is it necessary to go for another handset? If so, CDMA set or GSM set? 2. If Iwant to port to BSNL PREPAID, Is it necessary to go for a new handset? Which set? If you are porting from CDMA to GSM or vice-versa, you’ll have to purchase a new handset anyways, doesn’t matter whether you choose pre/postpaid. Unfortunately, no. Not at the moment at least. I sent SMS to 1900 to port my reliance GSM number. I got a reply saying “your request could not be processed. Try after some time”. Though I tried four times in 2 days, I get the same message only. I paid the bill till 17th of February 2011. Why is it so? What should I do? kindly advice me. Just call up customer care at *333 and let them know about it. They will help you get your UPC. its a big stupidity to move to airtel. It depends from region to region. I am using reliance GSM number and i am really frustrated with the service so i have decide to move to Airetl but the realinace number i am using is taken by using my friends identity proof now he is away . Can i submit my documents to the new operator or it should be my friends only.? What should I do if the service provider say ‘Idea’ does not let the msg pass? u cant read messages in dis reliance CDMA phone…..so from where else can i get the portibility code..??? Though am not very sure, you can request customer care guys to give your UPC. Else, you’ll have to repair/change your handset to send text message and get the UPC. Does anyone if vodafone has bought out Aircel. In Delhi region when U call an aircel mobile number, vodafone announcement comes in play. Or Do these companies share their resorces when one is busy like airline code sharing. U buy air ticket on one but one gets to fly the other airline. Its nice to get upgraded services at cheaper cost. Is there a telecom expert out there who can throw some light on it. Or is this a devious method by which the service operators manipulate something. like its shown in the foreign movies. Even the serviuce operator Aircel is unable to explain the condition. i have reilande GSM prepaid connection i want to port my no in DOCOMO ,but reilance not provide port no my connetion was 3 year old ,so please sugest me fast ………..
Can the customer care *333 and ask them to give u NPC. can i change my GSM number to BSNL number? I am using TATA GSM set only in that case do i have to buy new mobile also! will i get new sim when i port cdma to gsm??? If i move my Postpaid no, what will happen to my security deposit? will i get it or not? Can i change CDMA to GSM by MNP? I am having Reliance CDMA set. I want to change to some other network. Is it is possible..plz tell.. Yes, possible. Read this post for more info. is it possible to use number portability for my lapu card. hey wat is d best operator for postpaid…..plz reply….i hav tata indicom….its msg pck is mahabakwas….cn u suggest which is d bst operatr in postpaid havin gud msg pcks….????? It depends on which circle you are in. Is sending message to 1900 is chargeable? Hi Deepak, Your support here answering all the MNP related queries is highly appreciable. I need your advice for an MNP issue. 2. Premium number ( My number is surely not a premium or anywhere near to a premium number) This also not applicable. 3. They said May be you have some special offer which you have avvailed (I have not availed any special offer from Reliance) This also looked invalid. Now this cust care is not able to give me the exact reason for the rejection as he has no clue. On putting pressure he asked me to go to Reliance office or Web world. I have a tight work schedule and have no time to roam around for this. They are not providing any direct number where i could get the reason for the rejection. Reliance is as usual frustrating me and expect me to run to their office 10 times and request , plead and beg. Heights of Bearucracy. What is the solution for this. I want to escalate this up. How do i do this. What are the various defined reasons for which an existing operator could reject an application for MNP. If you leave it to the existing operator like Reliance they will reject 1 in 5 applications. Hi Pradeep, sorry for late reply! Well, all I would tell is try again with the same procedure and you’ll probably be able to get the number ported. This is just a wrong tactic many operators are following these days. can i cancel the portibiltiy process..
hy sir , this is pratham soni from disha clg !! sir i’ve sent a request to the mob. no portability but didn’t get my code from two days 🙁 what should i do ? I am using vodafone in AP. Can i use the same number in Tamil nadu in same network???? Earlier I was using Tata CDMA and now PORT OUT to Tata Docomo. Now I am facing major problem in Indoor Range problem in our area. Can I PORT OUT again on this ground before 90 days of PORT IN to Tata Docomo. What about the security deposit with the old operator, in case of Mobile Number Portability. I mean to ask would I get refund of the security deposit I have deposited with the old service provider if I port my mobile to another service provider. I used to live in Chhattisgarh and now i’m transferred to Maharashtra …. The roaming is killing my wallet ; Can i get the same no. over here…. If yes what is the procedure…..? I want to port from my MTNL Prepaid mobile number to Vodafone Postpaid. Is it possible ? No operator usually tally the address proof. They must be fooling you to retain you on their n/w. Try again, if unsuccessful, you can lodge a complaint with Nodal/Appellate authority. A sim card shopkeeper said I would have to pay him Rs. 150 to port my tata docomo number to Uninor. Is that Justified? Follow the procedure above and you yourself can port your number to Uninor. i message PORT to 1900 2 times balance is deducted but got message not sent network is uninor. can u tell me how to get this done by calling. Yes, we’ve been getting similar complaints from other users too. Suggest you to call customer care and mention about your problem. If the problem persists, let me know! Dear Vijay, there’s lots of benchmarks to determine quality of services such as location, your usages, etc.. Will suggest you to consult with your local friends about the operator they are satisfied with. Dear Rajneesh, at the moment that is not possible. But with the introduction of NTP 2012 (National Telecom Policy), inter-state number portability will definitely be possible in the coming months. it is clear to me that i have to send a sms to my existing sevice provider authority and i will receive a sms containing code.then it is to be submitted to the provider of my choice but how? Yes, Shuvam, you got it right! I want to shift Airtel to MTNL operator with a prepaid connection.What should I do? I got the UPC no. Can I change Videocon to Vodophone manually without contact operator? You need not contact Videocon anymore. But you’ll have to visit a vodafone store to get it ported to V.
I am migrating from Vodafone to Airtel. and after long fight with Airtel people my application accepted after 12 days and got confirmation MSG as “We are processing your request” on the same day when my ‘Unique Porting Code’ was going to expire and the same day i got another MSG from Vodafone too saying that “We will validate your request and will revert on confirmation by 96hrs”. So my question is whether is there any chance of failure in porting process after Expiration of UPC or once the process starts before expiration will be finalize?? Please revert as Nobody is answering properly Either that retailer shop person or Airtel Customer Care people. Am having some hopes from you itself. Hi Shrinath, sorry for late reply. Well, I am skeptical that the porting will be successful as the UPC expiry date is nearing. Well, even I have had to face a similar issue long back and I had to reinitiate the process by generating new UPC. Yes, as mentioned above, you can move your number from CDMA to GSM. Nope, but ID and photo of the same person that the number belongs to. I want to know that My CDMA TATA INDICOM Mobile No to convert it In GSM with different service provider. IS it Possible & how Much I will pay for it. Dear all, we are airtel corporate consumer & we have faced lot of problem in airtel corporate network/service & their representative did not support us as any time, also we are called again & again to them for the resolving that problem. Airtel not bed but their service network or staff are totally unprofessional. You may want to lodge a complaint about service issues with Airtel nodal officers. Will definitely be heard. I am using a CDMA Mobile # and i want it to be converted In to GSM prepaid # with different service provider. Pls let me know the complete details about it. Step by step procedure to port a number has been mentioned above, Vinay! I am not getting port number from my service provider which is Reliance CDMA. I had SMS to 1900 two times from my number but did not get reply. How much max time it takes to get reply from service provider? Also i am not getting the meaning of (The unique porting code will be valid only for 24 hours) in above paragraph. Should anybody can tell me ? Vaibhav, call complaint helpline @ 198 and ask them for your porting code. They must give. If not, let me know. Regarding UPC validity – the code keeps changing. You can port your number only with a valid and active UPC. Deepak, i am suffering the disadvantages of CDMA phones now. My cell mike is not working. So can’t communicate with customer care (rather anyone). Due to CDMA can’t use friend’s cell (all are GSM). Only SMS is the option that is working. But not getting the reply from 1900. Can be done only at your employers discretion. I have to change my Uninor number by 18th of January. Can I change the circle, i.e., from Kolkata to West Bengal? I have used my mother’s id for my number..so now at the time of mnp my mother’s photo id is required or my id will work..also the shopkeeper has filled wrong surname last time..he has added “ji” in the name..so does it matter? Shouldn’t be a concern. Try you luck. I want to change the mobile operator through mobile number portability. but can i get and use the new offers and plans of new operators. Is it compulsory to send the message PORT Mobile no. through that personal number which have to be ported or any other phones operator will do ?? You’ll have to send from the same phone. 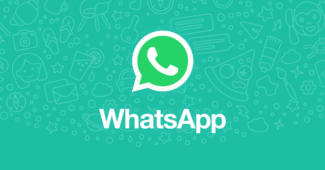 i want to port out my number from MTS (CDMA) to some other gsm provider, however the CDMA handset that is provided by MTS does not work so i cannot send the port sms from dat handset, how can i start the port out process without sending an sms…. Hi Deepak, thanks for the info. I want to migrate from Reliance CDMA. My only reason is that i need a more savvy handset, which is possible only if i go the GSM way. I am overall happy with the service and conectivity with Reliance so i m worried that the migration might lead to a different set of problems ifi choose the new servie provider incorrectly. 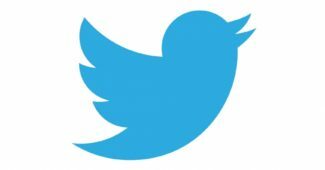 Can you recommend a good GSM service provider based on track record? I travel widely within India so connectivity on the go is important. As is overall operating cost. Random inquiry seems to show Airtel as an overall good bet. What do you say. I want to change my name displayed in Truecaller which was wrongly entered by me earlier. Unable to do the same. Please suggest the way..
Actually when i bought my sim… I used my father’s id. Now can i show my id and port my sim? I have a bsnl number which my son got by submitting his documents.Can i port the number to vodafone by submitting my documents? hi deepak, is inter-state no. portability available now? How to generate UPC code plz let me knw as early as possible. Sir i want to port my uninor number but can’t send sms, because of network issue.is their is any way to port number. The Vodafone Gallery at Dahisar EAST is charging Rs. 80 for port in requests how can I get it done for Rs 19? I want to change my Bangalore Vodafone prepaid no to Chennai Vodafone Postpaid is it possible. I want to Port my Vodafone prepaid from Bengaluru to Vodafone postpaid in Chennai is it possible. I have been port my bsnl no to relience. The process of porting started from 10th of November. As per the service provider the same no will start after a 1 week but till not yet started. Now i left the porting zone and came at new circle. My old sim are not working as well the new sim. So i am facing so much problem please assist. You have done great job. Your tutorials are very hlepful for newbies.You should also upload tutorials on JAVA, HTML, PHP, MY SQL,Thanks a lot. I have a Vodafone number which I plan to migrate to Airtel for a simple reason, I feel very cheated by Vodafone since most of the times I step out of WiFi range, the mobile WiFi which is ‘supposedly’ 3G never comes on and even during the rare times it does, it switches on to 2G. I want to port my number from idea postpaid to vodaphone postpaid. But today I attempt so many times using the accurate syntax, I can’t get my porting number. I have requested to port my Punjab airtel Mobile Number to Assam airtel.my Punjab Number has blocked after 19 days but not activated on Assam Sim.want to know the reason please. Awesome things here. I’m ver happy to look your article. touch you. Will you kindly drop mee a mail? Can I get my contacts saved in sim memory if I get my sim ported..? is using in Gujarat Can I port it? Id proof kiska lagta hai? present time sim other person ke name par hai. To kya mnp me mai apne name se port kara sakta hu?